Data is an essential component of Geographic Information Systems. With the most up-to-date, accurate GIS data available, you can develop strategies, automate workflow, target customers, and optimize processes. GIS data in business provides the ability to perform a thorough review of business information, from analysis to action. In order to understand a two-dimensional representation of the real landscape, you need a level of interpretation and imagination. The physical world exists in three dimensions and. Unless you ignore those extruded plastic maps of the world, the realm of conventional maps is determinedly flat. The ability of Geographic Information Service to produce dynamic and attractive three-dimensional maps is one of its most exciting benefits. A GIS does more than just show the positions of objects on a computer screen. It can also be used to model real-world events and networks. There are many networks in geographical data. It can analyze the potential flow around these networks. It can only do this if the data has the right network topology. The area features are defined in a Geographic Information Services by the linear shape of the perimeter and some kind of reference point indicating that the space enclosed by those lines relates to a geographical feature. The Geospatial GIS data is often captured in the form of linework showing the extent of physical features on the ground, like fences, roads, and rivers. The area features then have to be identified by assigning points to each bit of space in the resulting map data. It is very essential to avoid undershoots in the data, otherwise, the system cannot tell whether an area is closed at a particular point. The information of height can be captured in a GIS in exactly the same way as the shape and location of objects. The remarkable ability of today’s computers to perform calculations means that 3-D models of the ground surface can be constructed from data recording the height at distinct points across an area. Most 3D Geographic Information Services data is stored as a grid of points, with x, y and z values stored as attributes, often referred to as a digital terrain model (DTM) or digital elevation model (DEM). The core of any GIS technology solution is geo-database. For availing good quality Geographic Information Services, you must certainly get in touch with the reputed GIS Solution Company. These companies have extensive experience in converting the existing data to spatial data that meets the defined business goals, using appropriate data conversion, migration and QA tools. 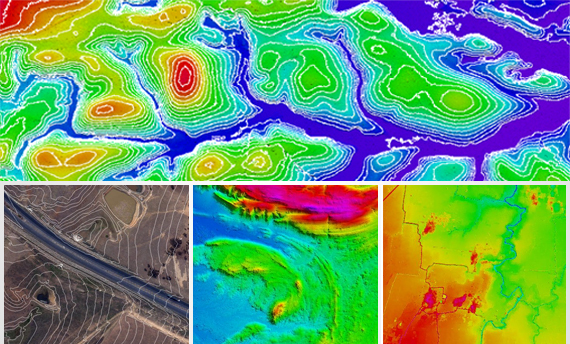 Posted on April 12, 2019 Categories General, GEO Referencing, GIS Services, GIS Solutions, GIS Surveys, Industry News, Smart CitiesTags 3-D models, 3-dimensional maps, 3D Geographic Information Services data, 3D maps, DEM, digital elevation model, digital terrain model, DTM, Geographic Information Services, GIS data, GIS services, GIS Solution Company, three-dimensional mapsLeave a comment on What is GIS data? What are it’s Benefit?